This page is dedicated to QBasic and QuickBasic programming languages. Here, you will find the best QB development tools I've come across during my web travels, and also news on my current and completed projects. 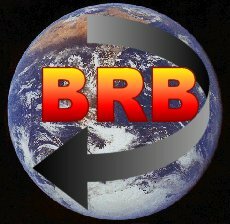 This site is proud to be part of the the QBasicNews network. 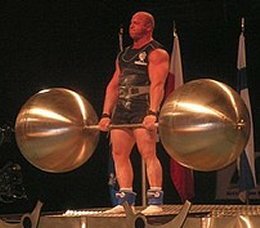 It's amazing that guys still visit the forum despite the fact I haven't updated here for quite some. One visitor who ain't so welcome though are the 'Bots, who we've been waging a war with here at Piptol Productions for quite some time. All was well for a while after Toonski shored up the the defences with some Bot-proof fencing, but seems like they've broken through and we took casualities and lost some posts in the latest brawl. It's been a while coming, but Kingdoms finally gets a FreeBASIC makeover! So now it's a fully fledged Win32 game, the same game you know and love with a few new surprises! 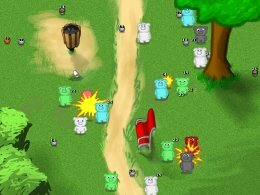 This version adds some new characters to help or hinder your Ablyssian adventures, there's minor graphical improvements, resampled music and faster battle sequences. 'Greatest QB Developer' contest underway ! "With the help of Lachie Dazdarian, I've decided to run a tournament to find out who the community thinks is the greatest QB game programmer / programming group of all time", writes Pete Berg of QB Express. "The two of us have nominated the 50 top QB game developers, who we feel deserve special recognition for their contributions to the QB gaming scene. From these 50 choices, YOU are going to vote to select the greatest QB game programmer." 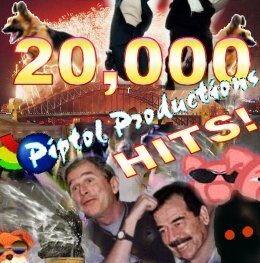 Piptol Productions Celebrates its 20,000th Visitor! The Event: The 20K Hit Party! Wow, what a night *that* was! The champagne was flowing, the music pumping and a multi-million pound firework display illuminated the sky long into the small hours. Infrequent forum visitor Dan Rosen had the dubious pleasure of being our 20,000th visitor and the look of surprise/horror as he walked through the door was splashed all over the media the following day. The only low points were throwing Jocke out for vomiting in the fountain, and asking Ginger Spice Geri Halliwell to leave for being a talentless bint. But otherwise, a fun time was had by all. Sorry you couldn't make it, I did send you an invite. You never got it? Hmm, must have got lost in the mail..
(Slightly delayed..) Bulletins Hot from QB World! Piptol's Links section finally updated! Out go the freeloaders and in come some quality sites. Hurrah! Alrighty, Let's Get This Show Back On The Road! Lulabelle: Good Morning, Piptol Produtions International HQ. Caller: Morning, this is Ian Hack calling from The Times. Could you comment on the rumour that Piptol has returned from his 11 month vacation? Lulabelle: Yes he has! The world tour is over - he's looking a bit scruffy and worse for wear but happy as kid with a candy stick! Hack: Indeed. So what's the latest? Any dirt to be dished? Lulabelle: He's got some work to do on the site, and pick up work on Squealer 2. He's also got to learn how to program again, once he's worked out how to turn the PC on. Hack: So can we expect any completed projects in the near future? 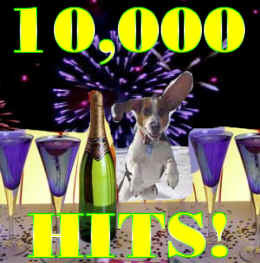 Lulabelle: Er, no.. but we're only a few weeks away from the 20,000th hit party! I Don't Care If It's Herbal, I Don't Want It! In some far-flung distant land, some twisted fiend sits in his warehouse full of herbal remedies, degrees from non-accredited universities, cosolidated debts and get rich quick books. 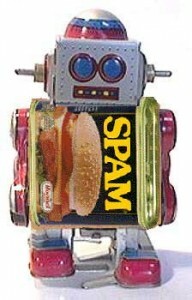 He sits at his PC and spams my Yahoo account tirelessly, this is his sole purpose in life. 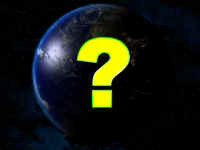 Just a quick update to let you know that I'm off on a world tour, so don't expect any updates for a while. Every so often the travel bug bites, I grab my backpack and head for foreign shores and new adventure! I'll still be checking into the forum once in a while, but I'll probably be away for at least 6 months. I have an Australian work visa so I'll be there most the time, as for the rest, well, who knows? As revealed exclusively in the QBExpo2K3, the swine are heading back to town and this time in glorious 800x600 hi-colour style! Expect bigger, bolder, more explosive action and a cast of baddies that make Mr Pig look like Barney the Dinosaur! Blitz and v1ctor have released a new version of UGL complete with sound module, certainly worth checking out. Blitz was also set to release a version with a MOD player but decided to jack it all in (again). Shame, cos it really would have been a great addition.. I was all set to give it an award, too. Oh well..
Well here it is, the first source code nobody has asked for, but I'm releasing it anyway. 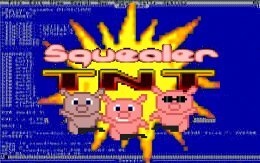 In many ways I reckon Squealer TNT has been my best game, mainly because it's what QB games are all about - simple, good clean arcade fun. I already have loads of good ideas for if I ever made a sequel, so you never know.. might not be for a while though. 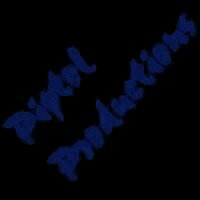 Piptol Productions - what does the future hold? ... if you enjoy playing my games for their own sake rather than for the fact they were done in QB, then watch this space.. because *very* special things are afoot..."
Piptol Productions celebrates a landmark! The domain name www.piptol.net has expired, which is why the site will appear to be down if you follow that link. 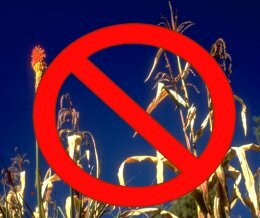 It's not, it's just that now you have to use piptol.cjb.net or piptol.qbasicnews.com to get here. I've had a great response to this game, both from the QB and Retro communities. 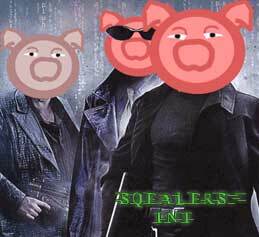 As usual, it always takes a few bug fixes and updates in response to feedback before I can really say I've finished development on a game and Squealer TNT has been no exception. Now v1.2 is out, I can say I'm really happy with it So I recommend everybody downloads this one, because it should be the final release. New in this version: Improved points scoring including extra lives, funky new rafter-rocking TNT explosions, some resampled SFX.. not to mention all the stuff from the previous updates like chain-reactions and the fixed Blastwave finish! Although running a little late for Christmas, the pigs are in town just in time to heat up your New Year! 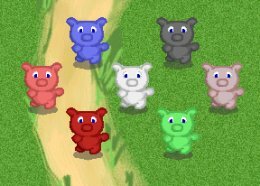 Join Wesley and friends in this all-action blast-em-up, perhaps the first QB game release of 2003!